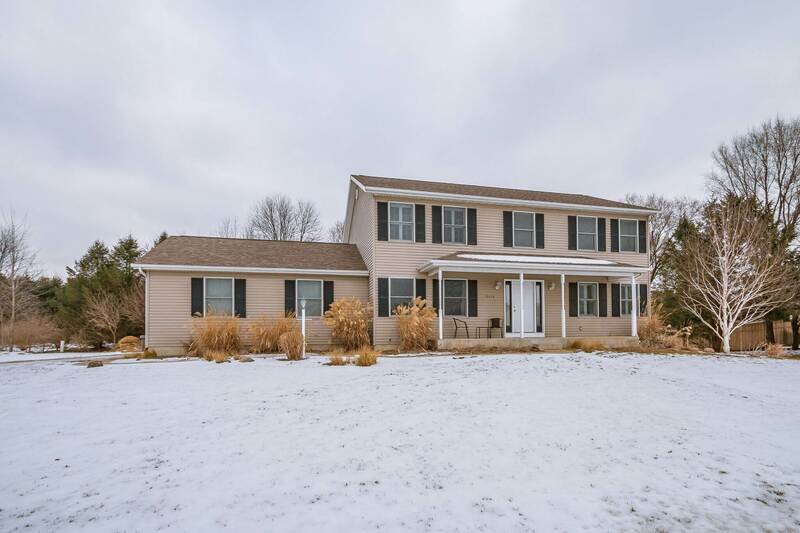 Your next home is waiting at this fabulous 2 story in PHM Schools. Located in desirable Pleasant Valley and serviced by Horizon, Discovery and Penn, this 4 bedroom home has what you are looking for. As you enter you will love the neutral decor and open space, accentuated by abundant natural light. The large living room features a fireplace, perfect for cozy winter nights and flows easily to the kitchen. The kitchen, complete with island, has great work and storage space. Moving easily to the formal dining room, will make entertaining a breeze. Upstairs there are 4 spacious bedrooms, affording space and privacy to family and guests alike. The master suite has a walk-in closet and roomy master bath. The finished lower level will become a favorite space for relaxing with family and friends. You will not want for space or natural light in the lower level. Outside features a beautiful deck and pergola, relax in the hot tub overlooking a large backyard complete with a new above ground pool (from the Great Escape with lifetime warranty) and shed. Attached 2 car garage. Call today to see how this home can meet all of your needs!